Goodbye 2016, Hello 2017! Crazy how fast the year went. Reflecting back on twenty-sixteen, all I can say is that it was a fun-filled, memorable year. One of my biggest accomplishments this year has to be starting a blog. 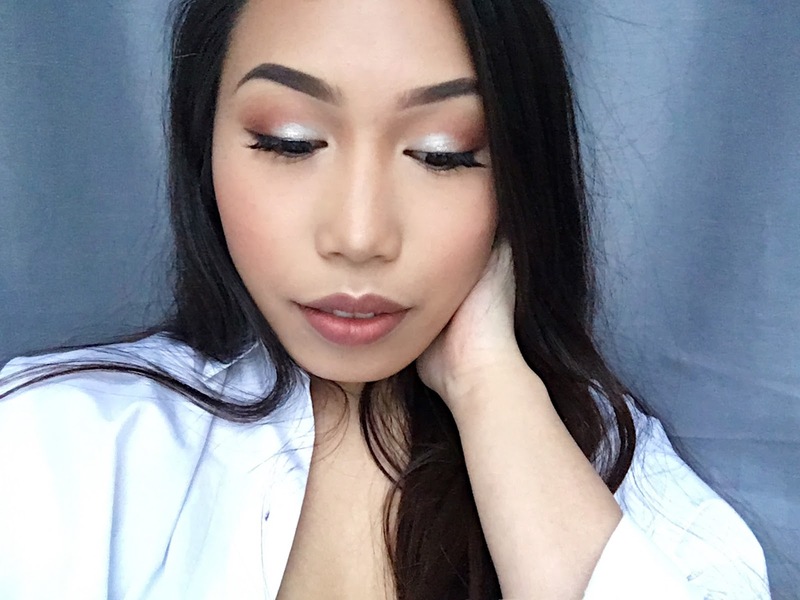 I had the chance to experience new things, connect with new people & brands, and overall take my passion for beauty + makeup to a whole new level. I'm just so thankful for everything that 2016 brought to me and hope 2017 is even greater for all of us. With that said, why not start the year off with a makeup look? This is a beauty blog after all! To prime my face, I've been loving the Too Faced Hangover Primer lately as it gives my skin more hydration, which is really needed during this time of year. 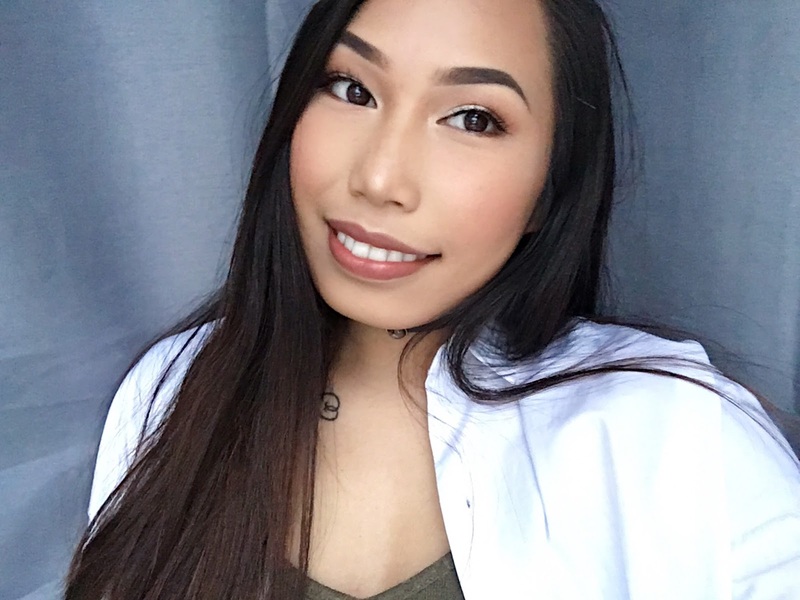 I then went in with my Maybelline Fit Me Foundation and concealed/highlighted my under eyes, bridge of nose, forehead, and chin with the Maybelline Fit Me Concealer + MUFE Ultra HD Concealer. To set it all, I used the RCMA No Color Powder to bake the areas I used concealer and lightly dusted it on the other parts of my face. Next, I gave back my skin some warmth with the Too Faced Chocolate Soleil Bronzer, then added some definition using the KVD Shade + Light Contour Palette. To give me that New Year glow, I used my new theBalm Mary-Lou Manizer (shoutout to my cousin for gifting it to me on Christmas. It's been on my wishlist for the longest time!) on my cheekbones, tip of the nose, and cupid's bow. To finish off the face, I dusted a bit of the Hourglass Blush in Mood Exposure on my cheeks. Onto the eye area, I used my trusty NYX Micro Brow alongside the ABH Dip Brow, an oldie but a goodie. As always, I clean my brows up using the ABH Concealer and set them in place with Benefit's Gimme Brow. 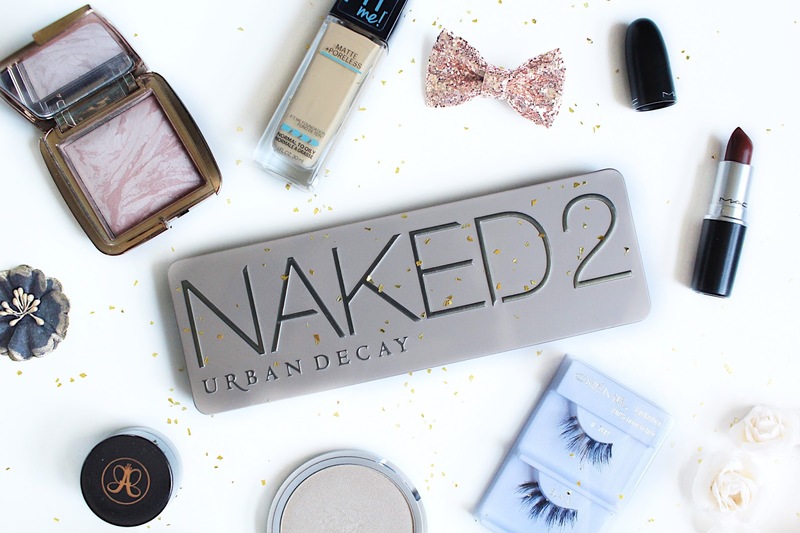 For my eyeshadow, I pulled out the Urban Decay Naked2 Palette to create a subtle smokey eye with a pop of silver in the inner parts of my lids. The false lashes I wore are the Creme #702, and I am in love with them! Not for everyday use, but perfect for special occasions. I thinly lined eyes with the black shadow in the UD palette. To finish the look off, I popped on MAC Whirl on my lips.